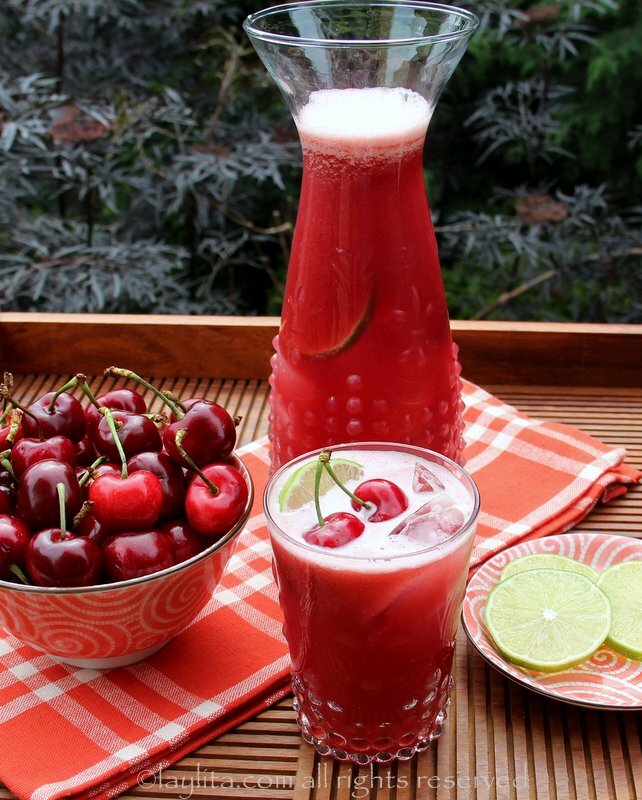 These refreshing summer drinks and cocktails include classic and easy to make drinks, from lemonade to sangria and margaritas. 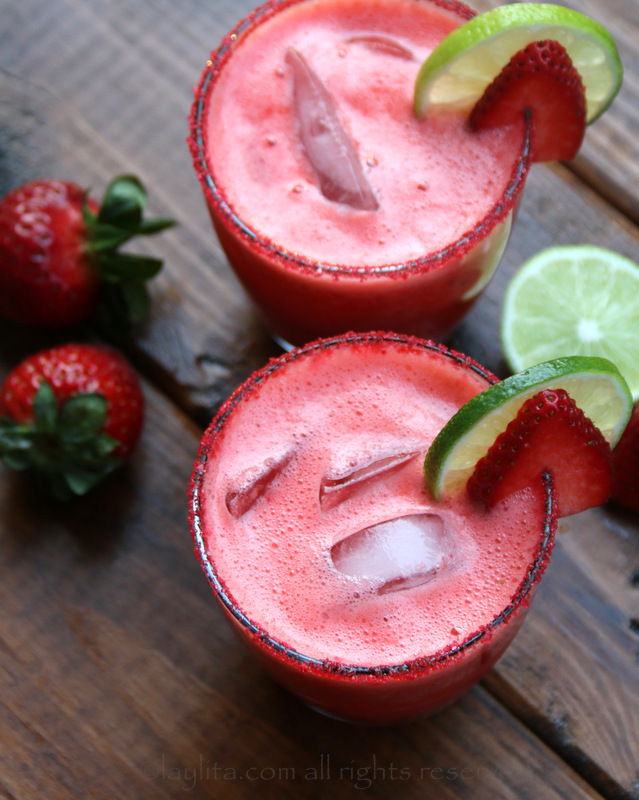 These drink recipes also include fruity variations of traditional summer drinks, like strawberry lemonade or pineapple caipirinha. 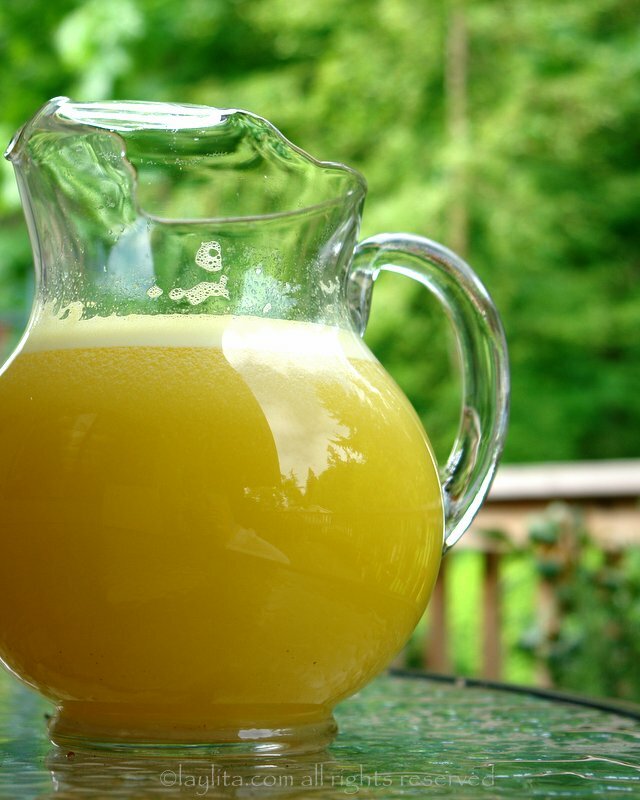 Try some less common drinks like chicha, a cold spiced pineapple drink made with pineapple skins or colada, a fruity oatmeal drink that is both healthy and tasty. 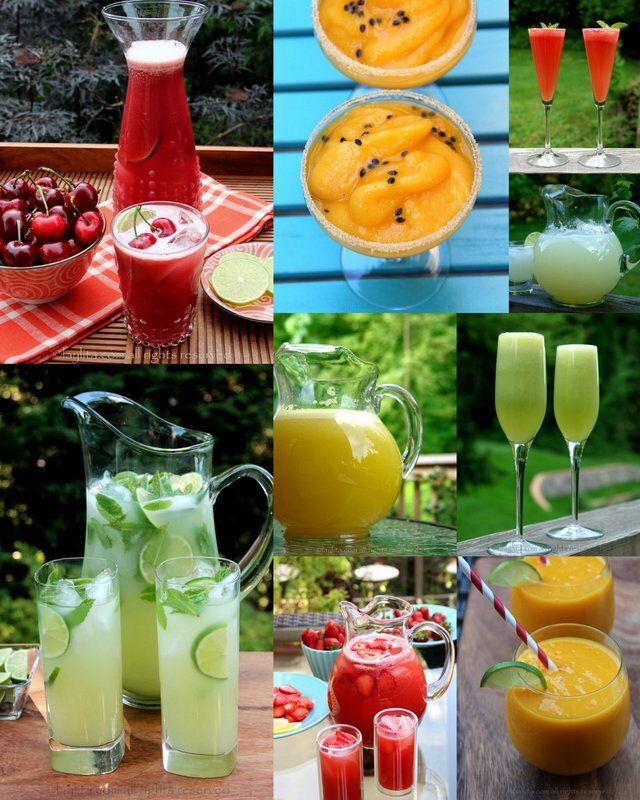 Most of the cocktail recipes can easily be turned into mocktail and adapted into delicious non-alcoholic drinks. 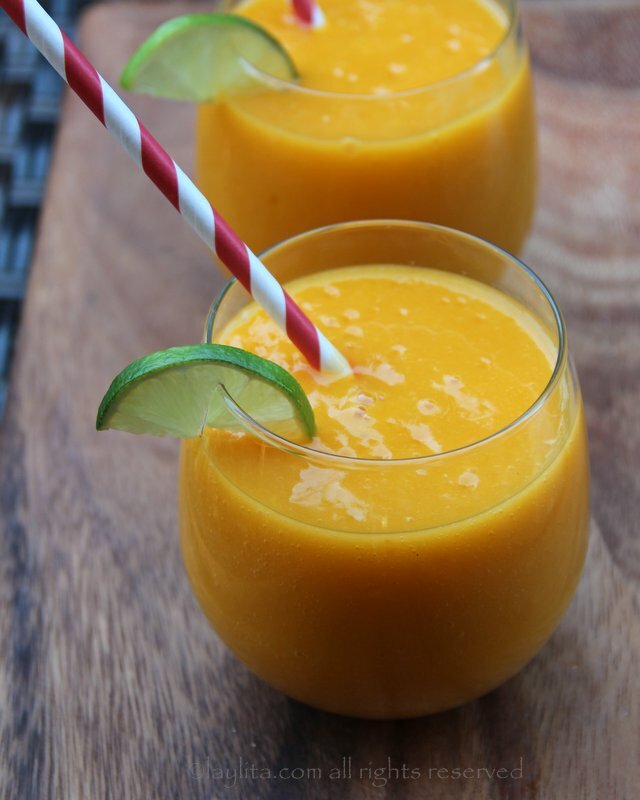 Mango passion fruit smoothie recipe made with fresh mango slices, passion fruit juice, lime, sugar or honey, and ice. 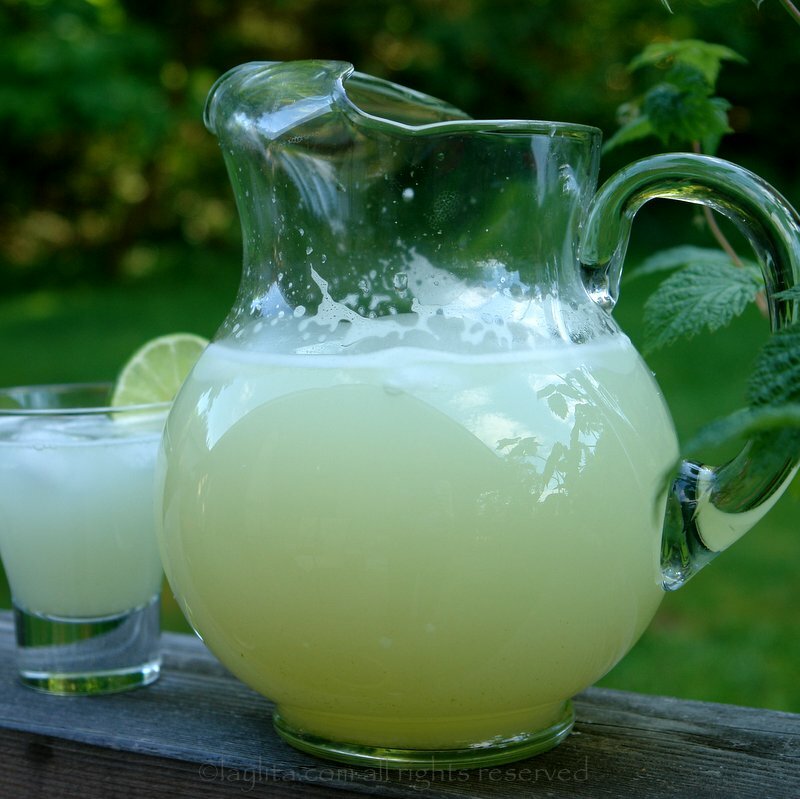 Limonada, lemonade or limeade: The most effective and quick recipe for making homemade fresh lemonade or limeade, also known as limonada, using a blender and a couple of limes/lemons. 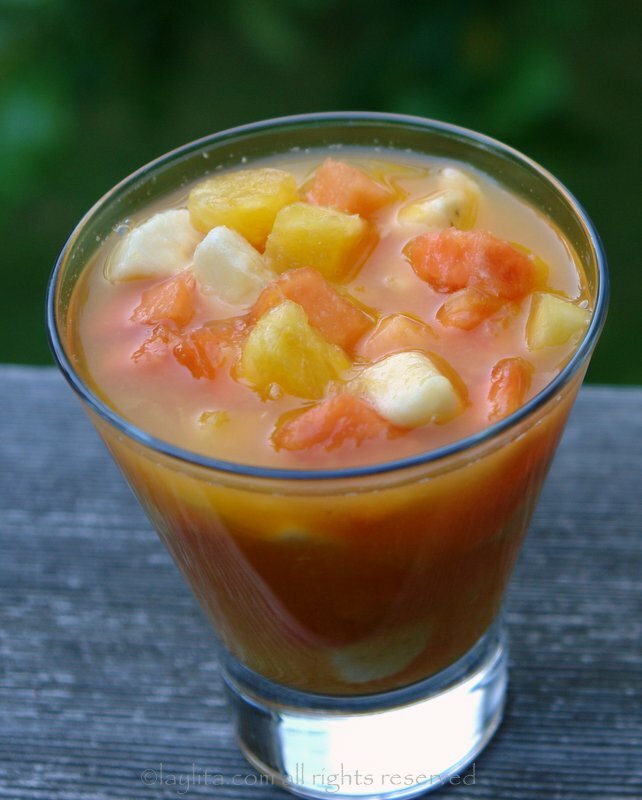 Come y bebe or tropical drinkable fruit salad: Simple and refreshing liquid fruit salad made with papaya, pineapple, banana and orange juice. 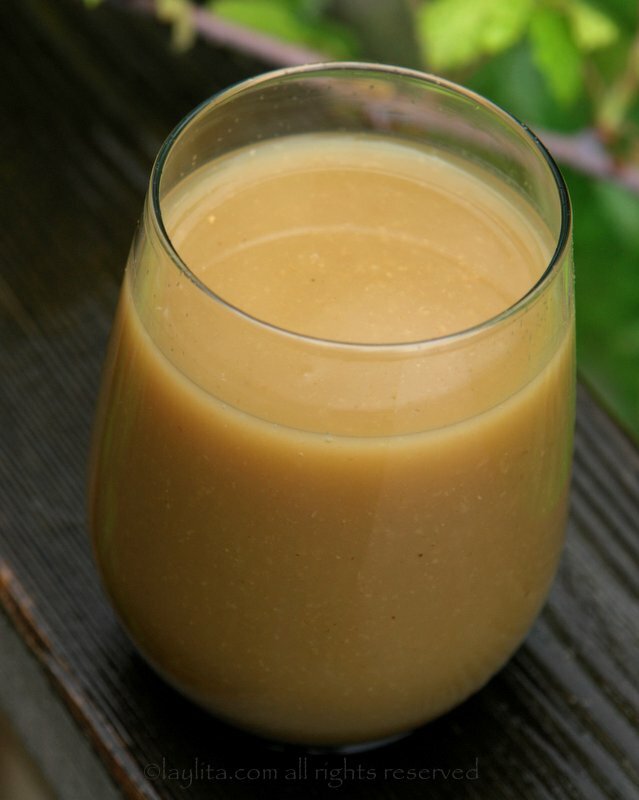 Colada de avena or fruity oatmeal drink: Colada de avena is a delicious drink made with oats, naranjilla fruit, panela or brown sugar, water and cinnamon. 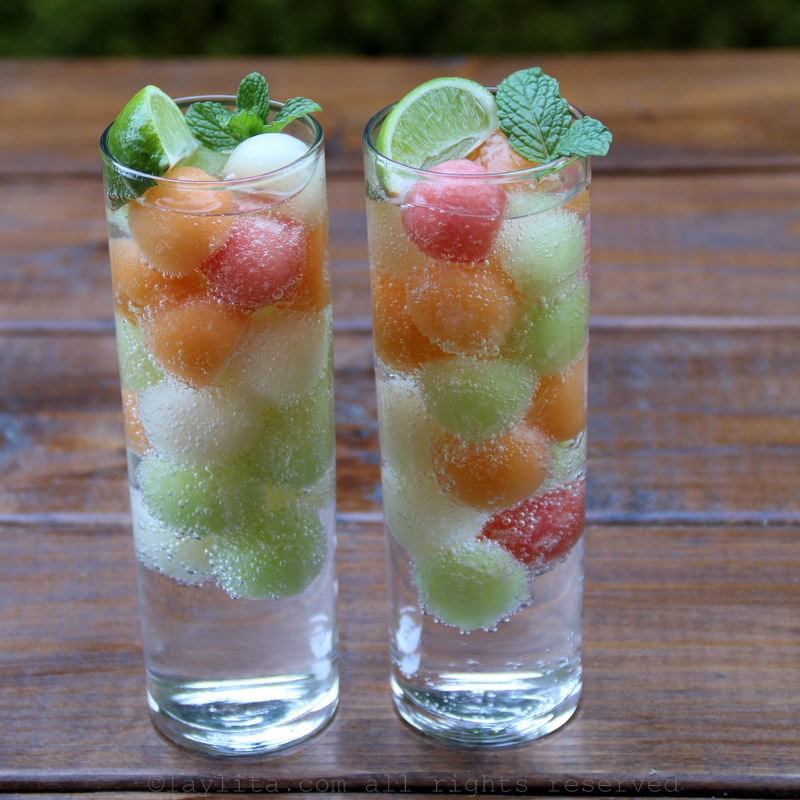 Serve chilled and with ice to cool down on a hot summer day. 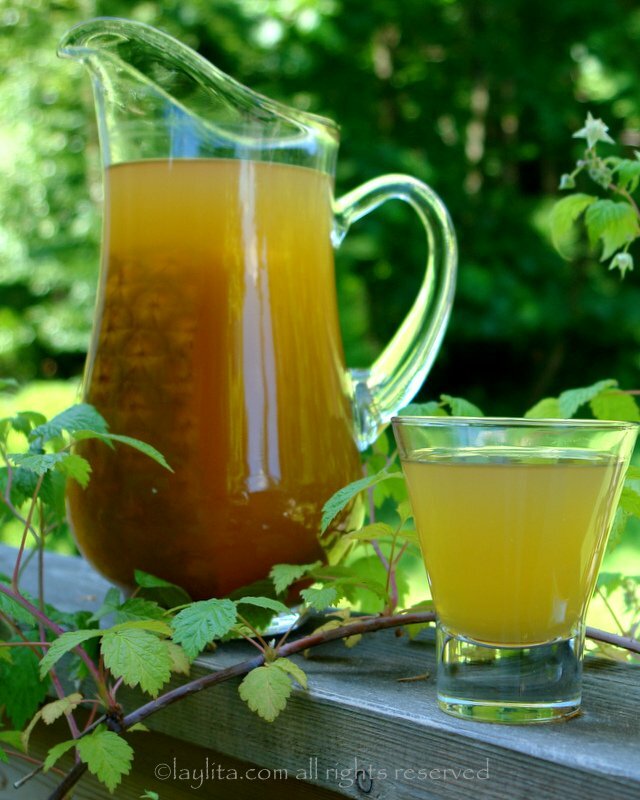 Chicha pineapple drink: Chicha de piña is a spiced pineapple drink made by simmering the pineapple skins and core with hard brown sugar and spices. 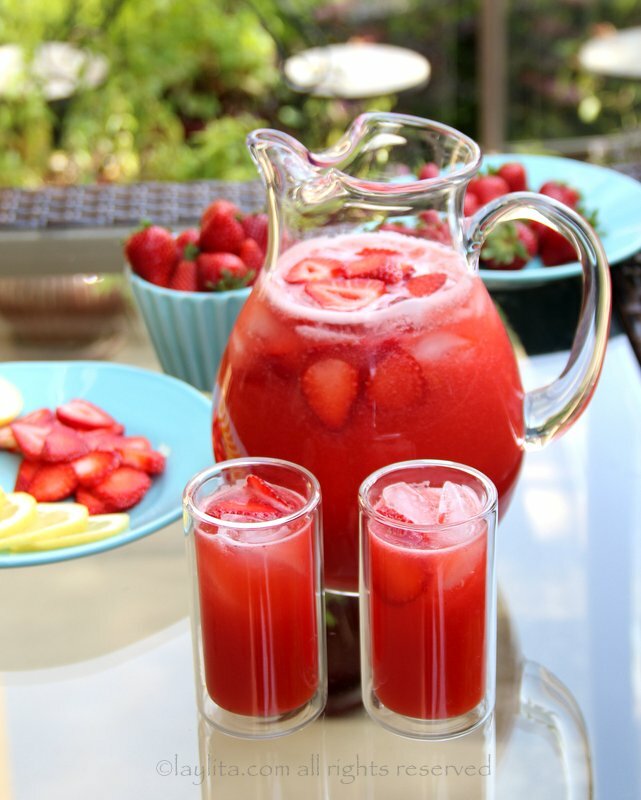 Homemade strawberry lemonade recipe, made in the blender using lemons, strawberries and honey. 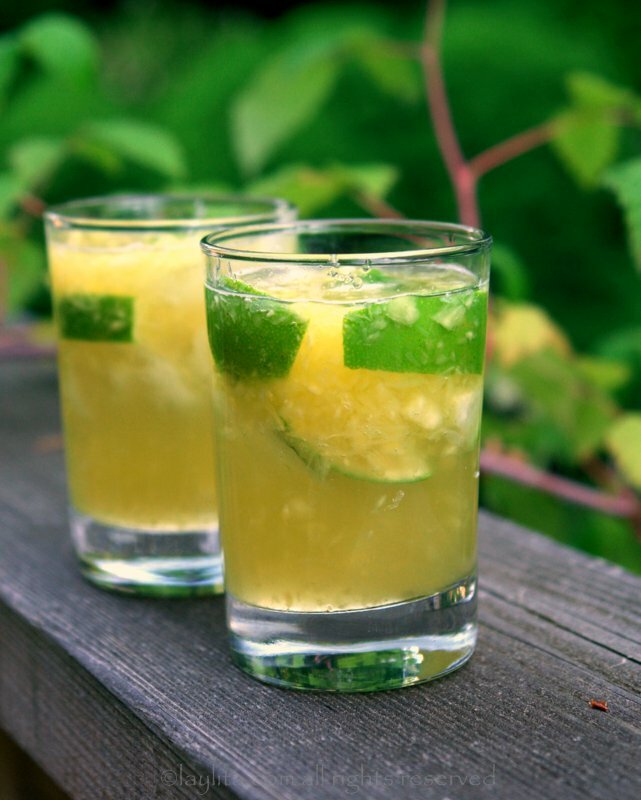 Replace lemons with limes for strawberry limeade. 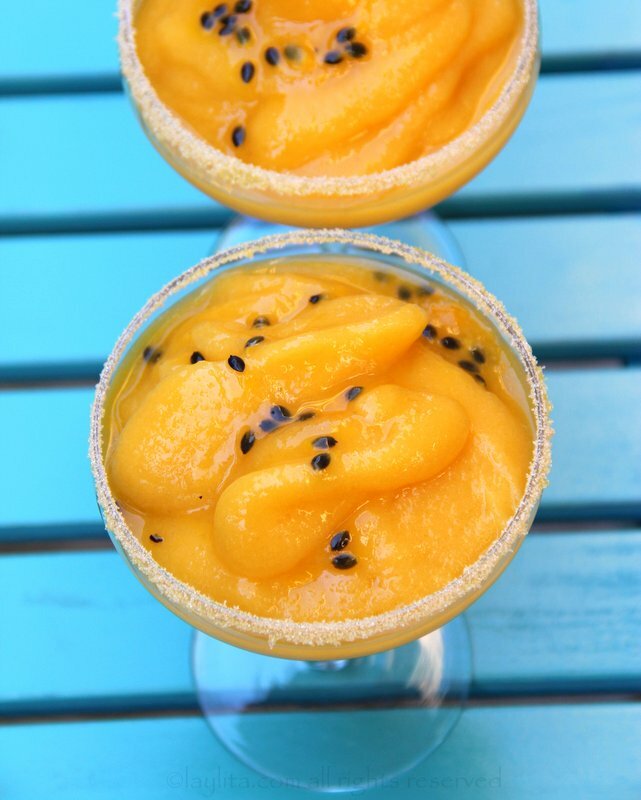 Mango passion fruit margarita: This margarita recipe is made with fresh mango slices, passion fruit juice, lime, sugar, tequila, orange liqueur, and ice. 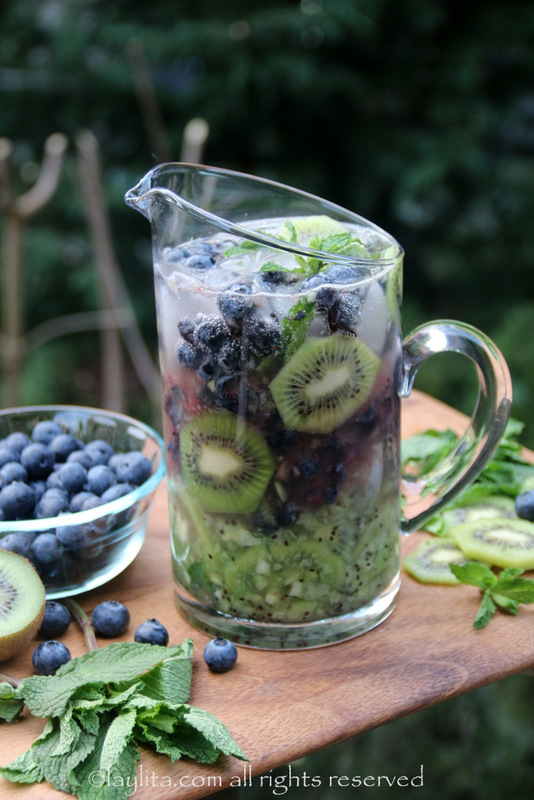 Kiwi blueberry mojito in honor of the Seahawks 12th Man, made with fresh kiwis, blueberries, lime, mint leaves, sparkling water and rum. 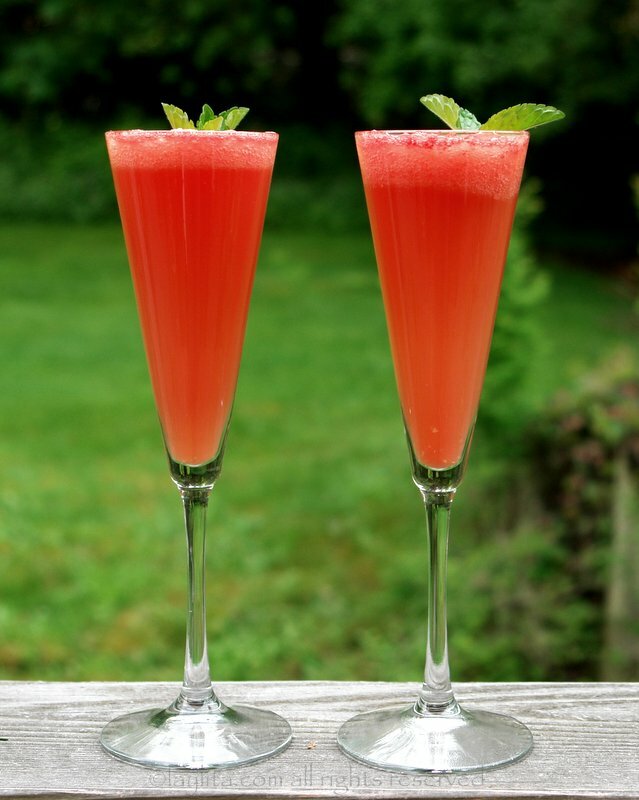 Watermelon mimosa: This summer mimosa recipe is a refreshing bubbly cocktail made with watermelon, orange juice, sugar to taste, sparkling wine and garnished with fresh mint. 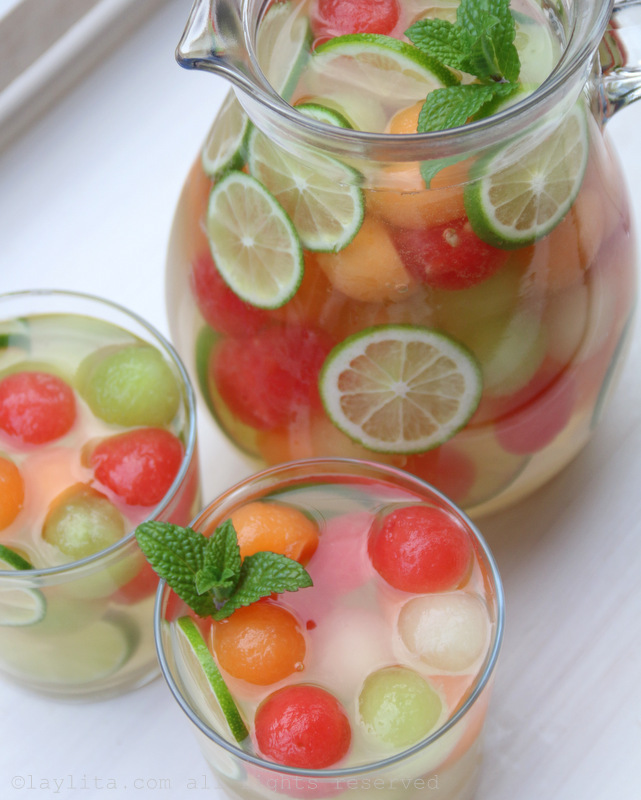 Citrus moscato sangria: Refreshing white sangria recipe made with a variety of citrus fruits, honey, orange liqueur and moscato wine. 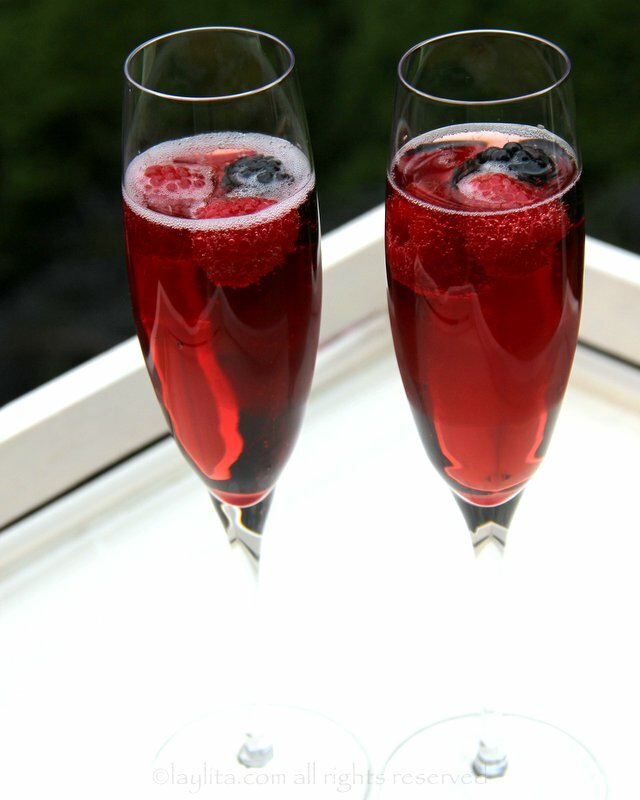 Kir Royal: A kir royal is a classic french sparkling cocktail or aperitif made with champagne and blackcurrant liqueur – garnish with fresh summer berries. 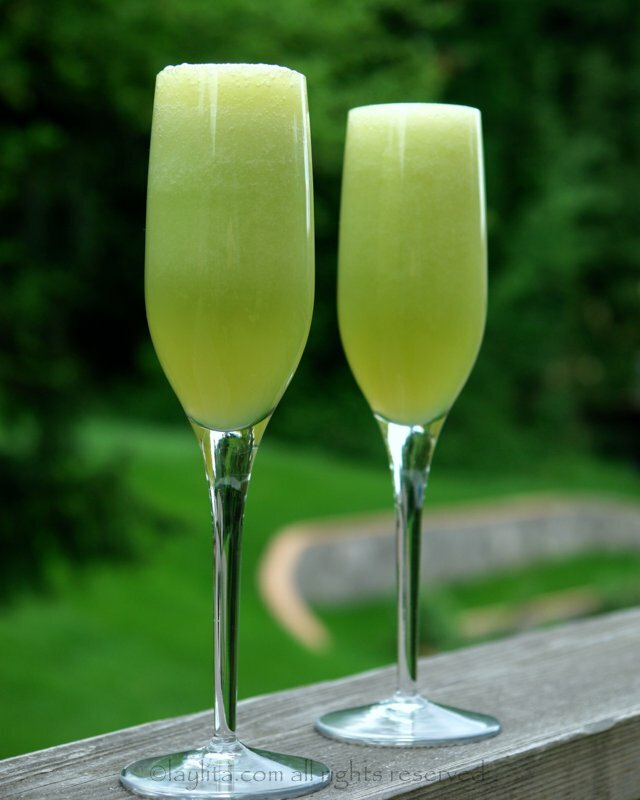 Honeydew melon bellini: A refreshing take on the classic drink, this honeydew melon bellini is made with honeydew melon, lime juice, and sparkling wine. 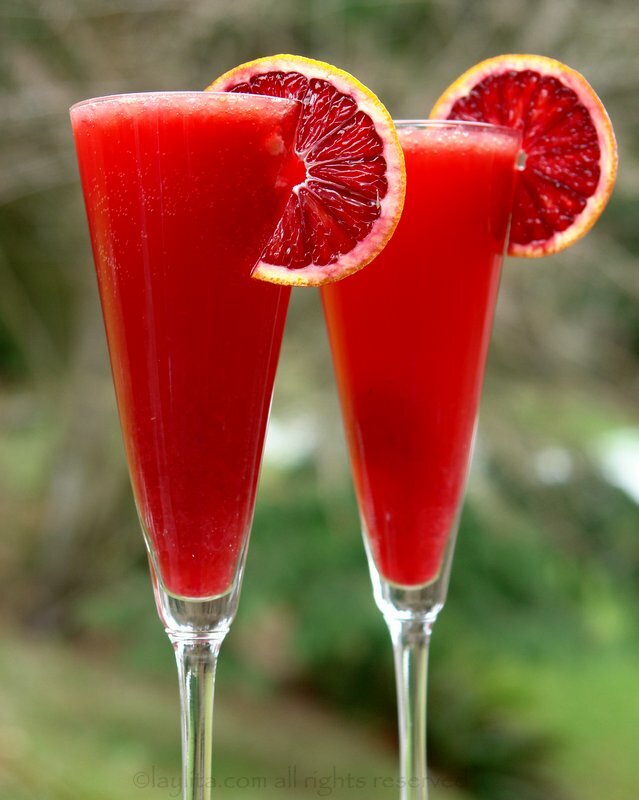 Bubbly blood orange Campari cocktail: Cocktail made with fresh blood orange juice, campari and champagne. 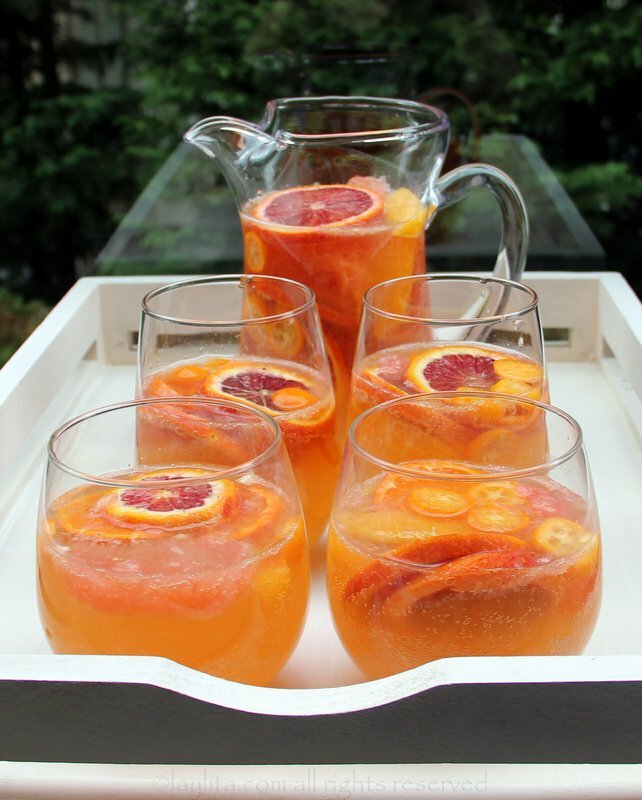 Use regular oranges if you can’t find blood oranges during the summer. 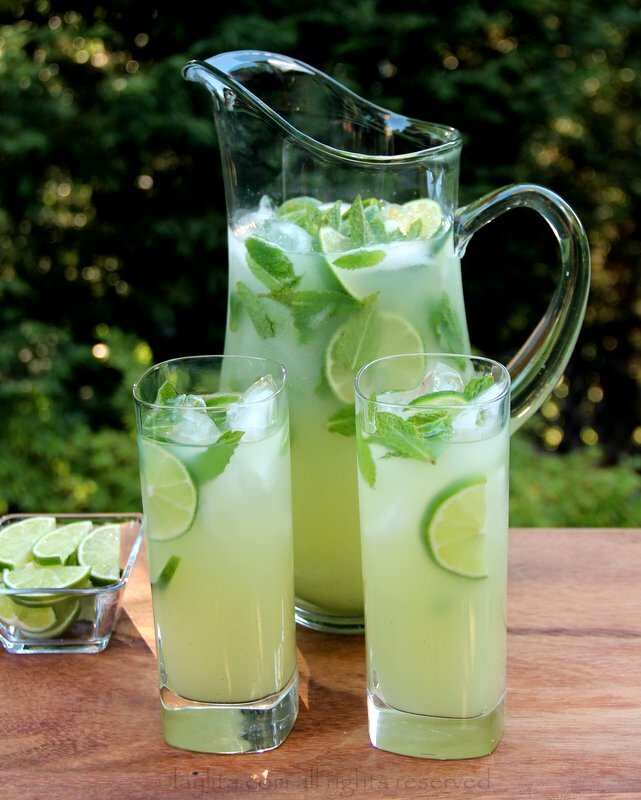 More summer drink recipes will be added soon! Any special requests can be submitted via the comment section! Cheers! Wow! I wish I happened to find this site at the start of Summer! 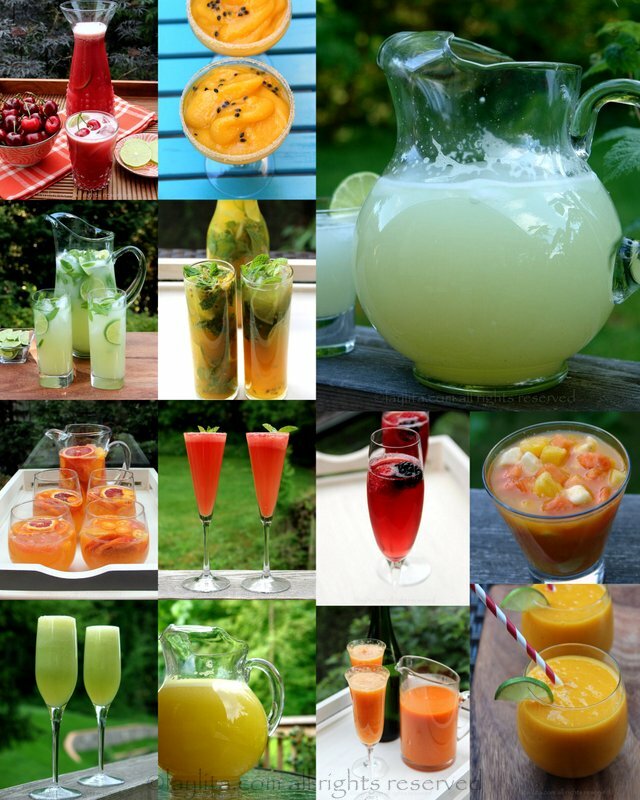 The drink pictures are so enticing, can’t wait until next Summer to try them! 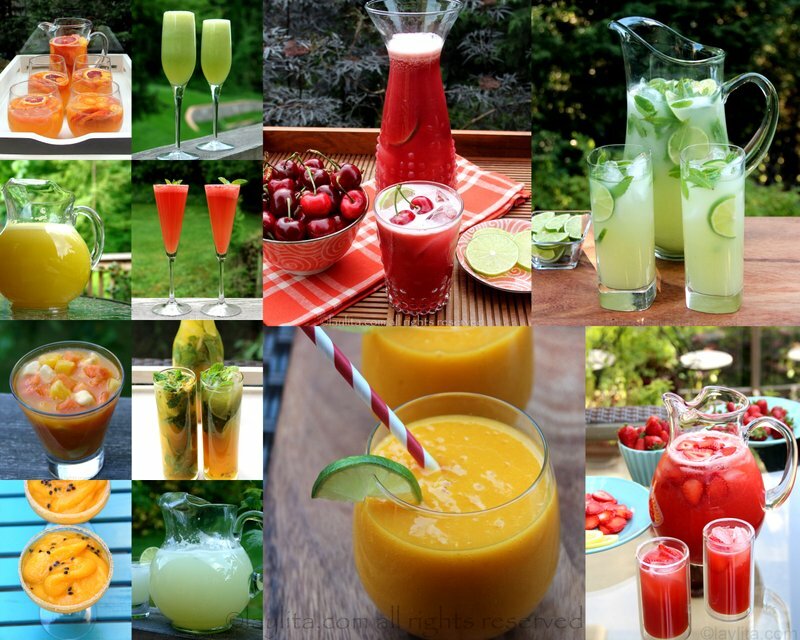 Very delicious recipe drinks. 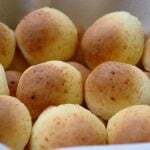 Compliments for posting.